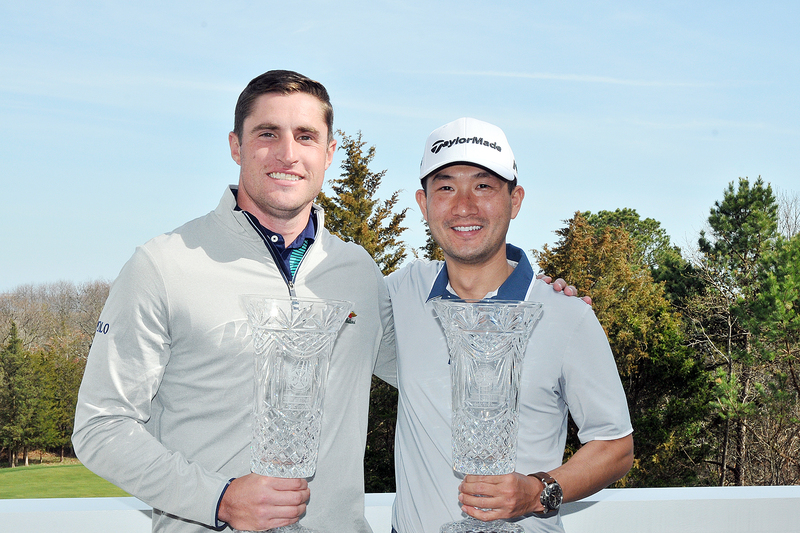 Sam Kang of Essex Golf Range and Alex Beach of Baltusrol started the 2017 season with a victory at the Pro Pro Championship at Galloway National Golf Club. Kang and Beach’s bogey-free second round 63 included eight birdies. The duo had 11 birdies in both rounds and have now won this season opening event for two consecutive years. Beach and Kang trailed by one-stroke heading into today’s round behind Pat Fillian of Echo Lake, Brett Jones of Due Process, and Bryan Dougherty and Carl Hays of Hollywood. Fillian and Jones finished second overall at 8-under, while Mike LaBrutto of Greenacres and Kevin Weyeneth of Hollywood finished third at 6-under. The Pro Pro Championship is a four-ball, 36-hole stroke play (better ball) event. “It’s fun to start an event where you’re not pressured to finish every hole and you have a good partner that can back you up,” Beach said.